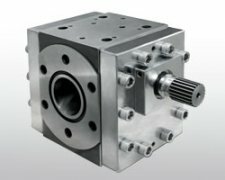 How to maintain the extrusion gear pump? 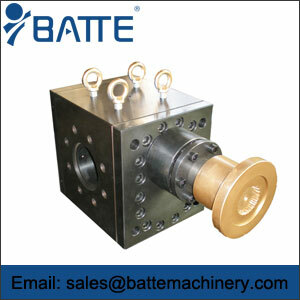 Batte Machinery Zhengzhou Co.,Ltd. will offer advice: how to maintain the piston? Using up fuel supply to the extrusion gear pump, the use of 3000h, the operator checks the daily need forextrusion gear pump 1-2 times, check the pump running sound is normal. Found cylinder speed drops or stuffy car, you should pump up the disintegration of inspection, checking whether the impeller edge scratching phenomenon, the internal gear pump gap is too large. 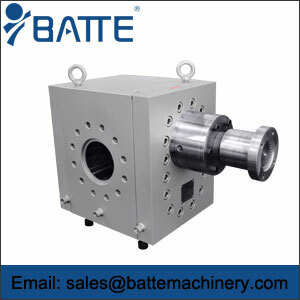 For self-suction-typeextrusion gear pump, the hydraulic oil tank must not fall below the lower limit of the oil standard, to maintain a sufficient amount of hydraulic oil. Cleanliness of hydraulic oil higher, longer pump life. 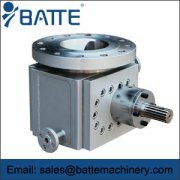 The most important component is theextrusion gear pump bearing, if the bearing clearance occurs, it can not guarantee normal internal pump three pairs of friction pair gap, but also undermine the hydrostatic bearing oil film thickness of each friction pairs to reduceextrusion gear pump bearings life. 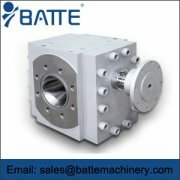 According to information provided by the manufacturer of the pump, the average life of the bearing is 10000h, this value would need to replace the new port. Dismantled bearings, no professional testing equipment is unable to detect bearing clearance, but to use visual, such as found in the roller surface scratches or discoloration, it must be replaced. When replacing bearings, should pay attention to the original bearing the letters and models were powered by piston bearing large load bearing capacity, it is to buy the original manufacturer, the original specifications, if the replacement of another brand, you should consult an experienced bearing The staff look-up table on the exchange, aimed at maintaining the level of accuracy and load bearing capacity. 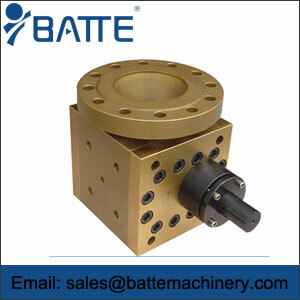 Piston length of life, and the usual maintenance, quality and quantity of hydraulic oil, oil cleanliness and so on. Avoid the oil particles to cause piston friction pairs wear, but also an effective way to extend the life of the piston. Replacement parts in the maintenance should try to use the original production of parts that sometimes more than other imitation parts more expensive, but the quality and stability is better, if the purchase price of cheap imitation parts, seems to be saving money in the short term, But thus it brings out hidden dangers, it could cause more damage to theextrusion gear pump use. Valve plate has a plane equipped with stream flow and spherical forms. Flow of friction deputy sphere, cylinder with flow in relatively shallow surface scratches, repair by grinding means; cylinder with flow surface grooves deeper, it would first use "after surface engineering technology" means filled trench, then grinding not blindly grinding ,, to prevent copper layer thinning or spill out of the steel substrate.